BBC News – Rough Guide: Margate ‘one of world’s top destinations’. Margate in Kent, England is one of the top 10 destinations in the world, according to the new Rough Guide. This entry was posted in Visit Britain and tagged Margate on December 13, 2012 by ukmade. Why aren’t more things made in Britain? “The EEF, the manufacturers’ organisation, recently reported that 40pc of companies currently manufacturing abroad are looking to bring production back home. And here is a link to visitbritain.com – VisitBritain is the national tourism agency, responsible for marketing Britain worldwide & developing Britain’s visitor economy. 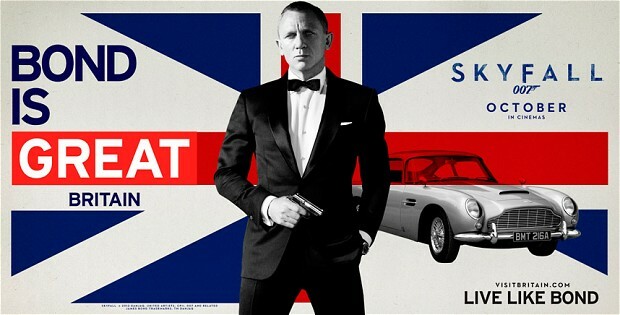 This entry was posted in Bond, James Bond, Visit Britain and tagged Bond is Great Britain, Bond, James Bond, EEF, EEF - the manufacturers' organisation, James Bond, Made in Britain, Skyfall, The Telegraph, Visit Britain, Why aren't more things made in Britain? on October 17, 2012 by ukmade.